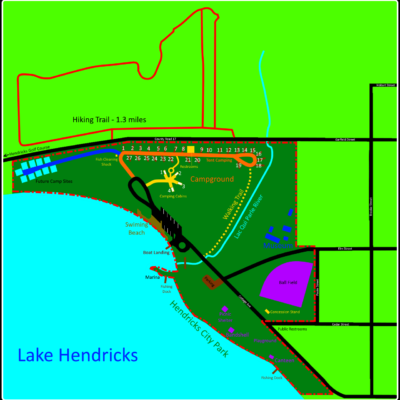 Located on beautiful Lake Hendricks. There are 27 sites w/elec./water & dump station. 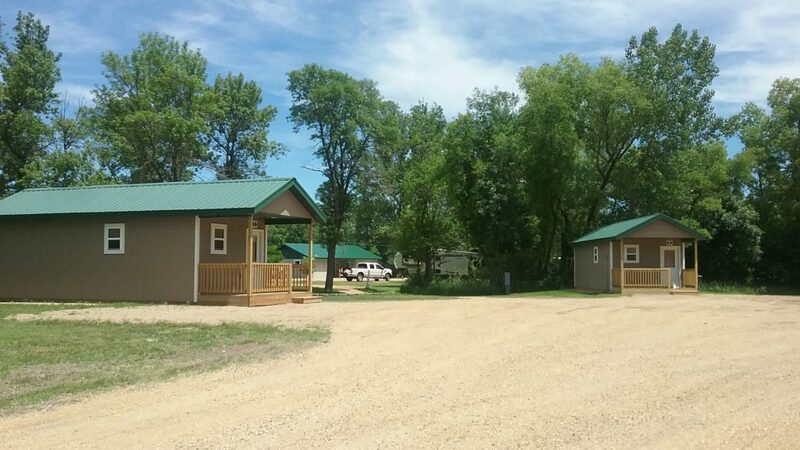 4 brand new camping cabins and brand new restrooms & showers. 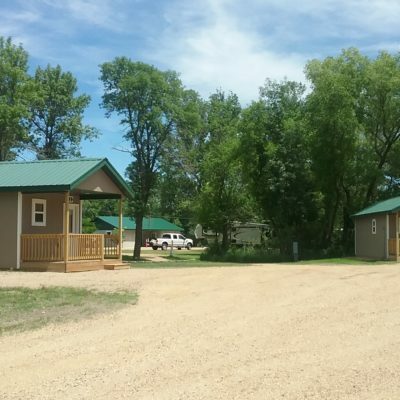 Swimming beach, boat launch, fish cleaning facility & playground. 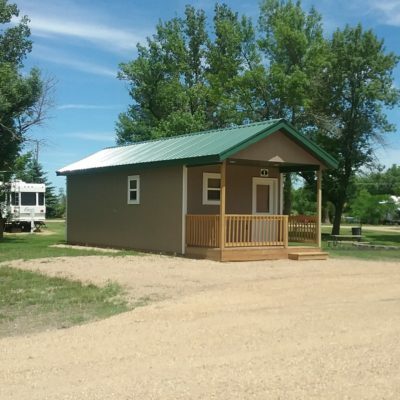 Nearby attractions include: Lincoln County Historical Museum, Hendricks Golf Course, volleyball courts & picnic shelter. Great Main Street shopping, brewery, theater & 6 eating places.